I’m sure everyone has had their fill of anything that has to do with Thanksgiving! But we still had some leftovers and with those delicious tidbits I made the all-American leftover Thanksgiving sandwich and called it The TurkeyGiver! Warm up the turkey meat, stuffing, chutney and gravy. Spread the rolls with as much mayonnaise as you like. 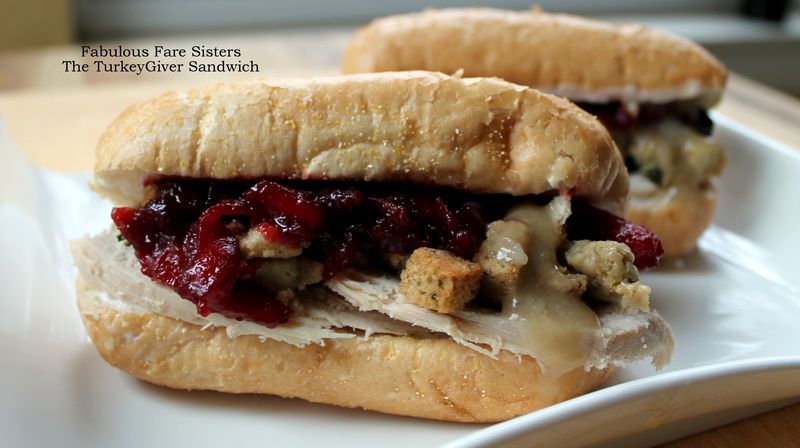 Layer the rolls with turkey, stuffing, chutney & gravy. Eat. Enjoy. 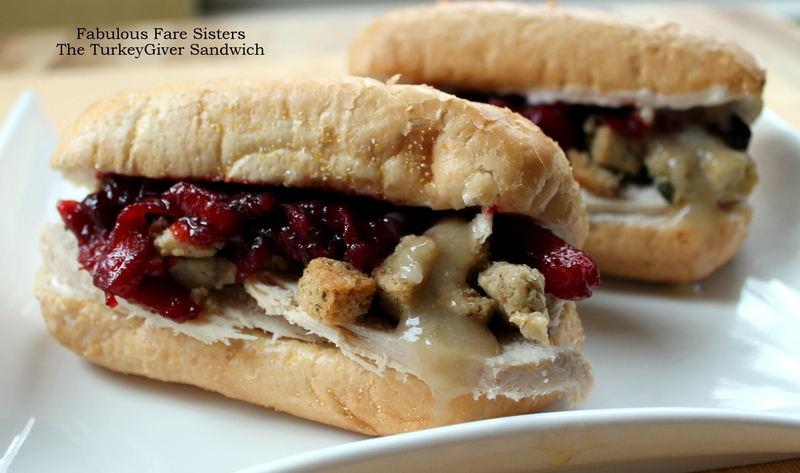 Make as many sandwiches as you have leftovers…it’s a great way to use up everything! Alternately you could prepare the sandwiches cold, wrap with aluminum foil and bake in the oven at 350 F until heated through. Dip sandwiches in more warmed up gravy if you so desire! Yummy! Combine all the ingredients in a saucepan. Bring to a boil; reduce heat and simmer 20 minutes. Remove from heat and allow to cool. Amazing! Wonderful combo of tastes! Really great Linda. Hope you had a lovely thanksgiving with your family. These do look delicious! Always so attractively photographed too. I didn’t eat turkey on Thanksgiving but yesterday at the store I confess, I bought turkey breasts, they were so inexpensive. Leftover sandwiches are one of my favourite foods! I know! Right?! Great stuff! Love the sound of the cranberry mango chutney.